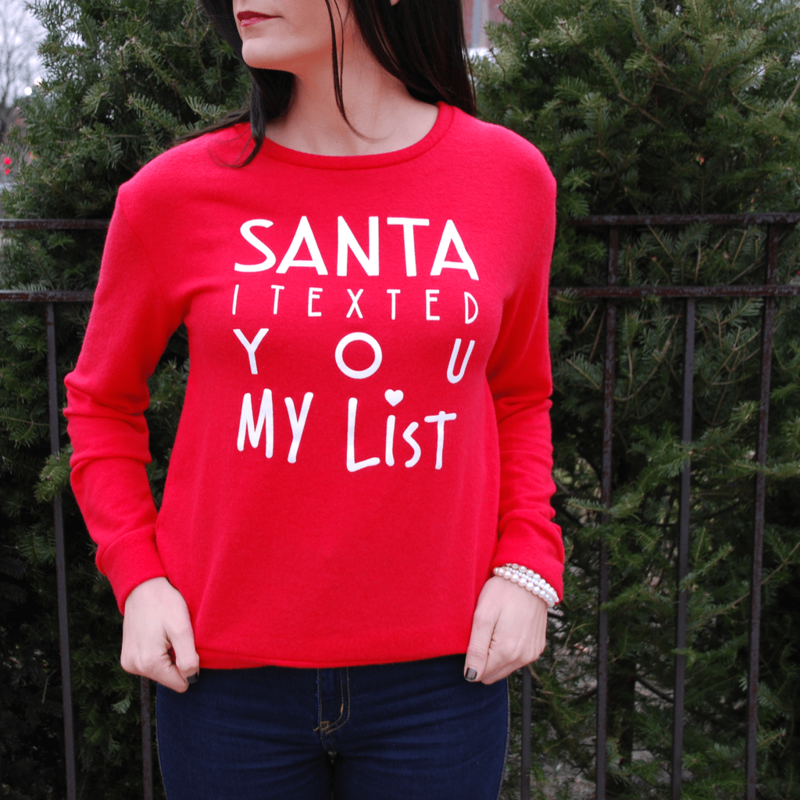 What adult doesn’t want to text Santa their wish list? I can’t believe Christmas is just two days away! I hope everybody has completed their shopping lists and is ready to spend some quality time with friends and family – I know I am. I guess Santa did respond to my text after all because it is just gorgeous in Chicago. A little snow wouldn’t hurt, but I’m not complaining. Have a Merry Christmas!